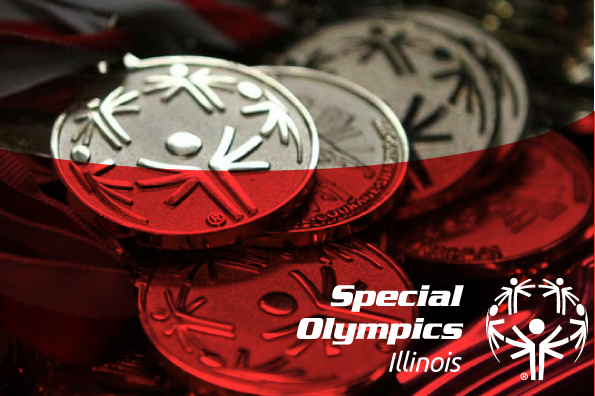 Special Olympics Illinois announces the election of four new members to its Board of Directors at the board’s February meeting and the selection of a new board chair. The new members include family members and a Special Olympics Athlete. The new board members are Jennifer Fortner, Bill Asbury, Brook Klawitter and Kaylee McLaughlin. 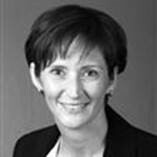 Jennifer Fortner, Managing Director at Goldman Sachs, was named Board Chair of Special Olympics Illinois. Fortner has been a board member for several years and first began her involvement with Special Olympics while in college at the University of Chicago. She volunteered at a basketball event and has been hooked ever since! In addition to her role as Chair, Fortner sits on the Development Committee, the Foundation Board and is the liaison for our Leaders Council, a group of young professionals who raise awareness and fundraise for Special Olympics Illinois. Family engagement, collaborating with college athletics groups and building opportunities in the Catholic School System are initiatives Fortner feels strongly about and plans to make them a focus during her time as Chair. Bill Asbury of Du Quoin has joined the SOILL Board of Directors and will serve on the Area Management Committee. In 2010, Ashbury established the Girls Winter Indoor Softball Tournament which has raised more than $310,000 for Special Olympics Illinois. Asbury also established the Beaver Rice Boys Baseball Winter Indoor Class in 2015 and raised more than $20,000 in its first year. Asbury was named Special Olympics Illinois Volunteer of the Year in 2012 and his family received the Family of the Year award in 2014. He serves on the SIU Campus Polar Plunge Planning Committee. The event has raised more than $150,000 for Southern/Area 15. He serves on the Southern/Area 15 Spring Games Planning Committee and is an event director overseeing set up and logistics. Asbury currently works at Roland Machinery Company as a heavy equipment technician. He and his wife Jill have four daughters: Caitlin, Lindsay, Emily and Brenna. He is the president and co-owner of Indoor Softball, Inc. He loves car racing and was a former owner and driver of late models for 20 years. Brook Klawitter of Frankfort has joined the SOILL Board of Directors and will serve on the Finance & Oversight Committee. Klawitter serves as Director of Finance Shared Services, USG Corporation, and is responsible for implementing USG’s shared service strategy related to financial transactions. In February 2015, she received the Chairman’s Award for successful implementation of the Finance Shared Services organization. As a result of this transformation, USG has realized significant cost savings, working capital improvement, improved financial controls and transactional effectiveness. Klawitter led a Special Olympics Young Athlete program for children ages 2-7 with intellectual disabilities and their peers in the south suburbs of Chicago from 2008-2015. She and her son, Jack, Special Olympics athlete and Global Messenger, also speak to groups about the impacts and benefits of Special Olympics in their lives and families of those with intellectual disabilities. She received a master’s of business administration degree in MIS from University of Missouri at Kansas City and a bachelor’s degree in accounting from the University of Iowa. She and her husband, Dave, are parents of Jack (10), Sophia (8) and Mary (5). Special Olympics athlete Kaylee McLaughlin of Kirkwood has joined the Special Olympics Illinois Board of Directors serving on the STC Committee. McLaughlin began participating with Special Olympics in 2010 through the Warren County Falcons. In 2014, she became a Global Messenger to advocate and speak about being an athlete with Special Olympics. She has competed in basketball, athletics (track & field), volleyball, t-ball, bowling and bocce. Her favorite memories with Special Olympics are winning a gold medal in the 50-meter run at Summer Games and giving her first speech in 2013 to the Lions Club in Monmouth. Outside of Special Olympics, McLaughlin is involved with the FCAC Fellowship of Christian Athletes, enjoys helping animals find homes, stopping animal cruelty and breed discrimination of dogs.